“Panikkar and the Opus Dei” is a thorny issue for Panikkar himself, for Opus Dei and for every breed of panikkarist. Therefore, no one really wants to talk about it. Panikkar himself was very reserved about this issue and spoke very little either about the period when he was a “numerary” in Opus Dei, or the moment when he left it. He wrote little about it: there is the introduction to Albert Moncada’s book, Historia oral del Opus Dei, and allusions to it in some interviews towards the end of his life, thus with an interlude of decades. Opus Dei, likewise, remains rather reserved, both in regard to his membership and in the confrontations of his departure. Persons fascinated with Panikkar and enthusiastic about his texts were (and still are) surprised and astonished to discover that “their Raimon” belonged to Opus Dei. Nor have his critics dealt with this matter. Nevertheless, it is an interesting, fascinating and crucial aspect of Panikkar’s life and work, and needs to be confronted. It is necessary to break the silence dominating this period and discuss, precisely in the panikkarian sense, the problem. It’s not enough to collect dates, reconstruct the history and be satisfied with the repeatedly heard gossip circulating around this issue. It is necessary to reflect seriously about it by using all the possible available material. The principal motive that drives me to this investigation is the simple but more than convincing fact that Panikkar belonged to this organization for about twenty five years. The affirmation of the more than eighty-year-old philosopher of Tavertet that he loved to create harmonious parables about his life - a third of which he had spent a in Europe, a third in India and a third in the United States - makes one think. Looking at his life from another perspective you can observe that he also spent a third of it as an Opus Dei numerary. His membership was neither pure chance, nor accident, nor was it insignificant for his existence or his thought when he abandoned it either. The silence shrouding this topic is very eloquent and is going to be heard. Josemaría Escrivá de Balaguer (1902-1975) founded Opus Dei in 1928 operating only in Madrid, although he considered the possibility of extending it as far as Valencia and Paris. Between 1936 and 1939 Spain was shocked by a civil war that changed the spirit of the country. In the new post-war climate, de Balaguer decided to spread his Opus beyond the capital, convinced that proper ideas could contribute to the reconstruction of the nation’s Christian life, hence he began traveling around the country attracting more and more substantial numbers of candidates ready to follow the inspirations expressed in his book Cammino, of which a new and essentially definitive edition was published in Valencia in 1939. On the 30th of December 1939 the founder of Opus Dei arrived for the first time in Barcelona, which had been particularly tested during the civil war. His first contact in the city was Alfonso Balcells, who consequently would become important in Opus. Balcells had met de Balaguer the preceding year while participating in the Burjassot training camp, and thus had organized in Barcelona some meetings with Monsignor Escrivá in private homes. The setting was secular. Raimundo Panikkar - invited specifically by da Balcells - participated in the meeting that took place on the last day of 1939. The 21-year old student had returned from Bonn the preceding summer for vacation but because of the outbreak of the 2nd World War, was no longer able to return to Germany in order to conclude his studies and was therefore living at home. Two months after meeting de Balaguer, as the rule required, in February 1940 Panikkar presented a formal request to be admitted to Opus Dei. The request was accepted and thus he became the first numerary from Barcelona. For a short time let’s stop the chronicle, which as always runs along rapidly being so full of events and dates, imagine the situation and try to understand the atmosphere in order to sketch a possible scenario. We are in an apartment in the city. The echo of battles can still be heard. The walls are bullet-ridden, the profanation of sacred places and violent deaths of numerous priests and nuns still fresh in our memory. Newspapers and radio broadcasts report battles in Poland whose western section is occupied by Hitler’s army and whose eastern section by Russian communist troops. In other words, it’s a rather apocalyptic atmosphere. In this apartment, with gentle reflection, a priest is talking to a group of young students about possible escape from this nightmare, is presenting a new life - not a very formal one, but one profoundly demanding in God’s Work, a life that requires sacrifice in order to bring the world toward God. At such a time one can’t be closed up in monasteries but must act in society without using the old models again, which as has been seen, have proved to be useless, if not detrimental. A lively and discrete atmosphere hovers over everything—a fact that adds a pinch of fascination that warms the hearts and fires the imagination. The world is ravaged by evil as it always has been, but now perhaps more than ever. They are a small flame that can be expanded to transform the world, like the dawning of Christianity that vanquished decadent Rome solely by the fervor of the first believers and martyrs. The atmosphere is intense, the voice of Monsignor Escrivá persuasive, the listeners’ eyes glow with hope. The gospel is read, simple teachings are given that are to be quickly implemented, the hearts of those present are bound by a silent pact of loyalty that gives them a sense of belonging. Young Panikkar talks with Don Escrivá, then goes out into the streets of the city wrapped in a cold humid darkness. It’s the end of the year, but also a new beginning. All the old things have passed. Everything has been made new. The young student has found a connection, an ideal, a point of departure, a mission. A road is being marked out for him and he lets himself go – like someone in love. This has already happened at other times in history and will happen again in other times. Perhaps it occurred that way, perhaps in a slightly different way. In any case, that New Year’s Day Panikkar began a new path whose destination he still did not know, and perhaps didn’t need to know. But it is a turning point that made an imprint on his life. The Panikkar we are talking about is still not the one of cosmotheandrism and inter-religious dialogue. And the group he would join within a short time is not yet the Opus Dei that would make history and generate so much discussion. For the moment Panikkar and Opus Dei met each other and would walk together for a long period of time. Today it would be only pure fantasy to discuss the influence this man might have had on that organization or what it might have been if he had remained a member. It is certain, however, that without the New Year’s Eve meeting the course of Panikkar’s life and work would have had a different character and development. On the 29th of September Raimon Panikkar was ordained a priest. This is one of the most significant and fundamental events, one of the cornerstones of his existence. From this hour up to his death, Panikker will maintain being a Catholic priest, and insist strongly that he is one. And in the eyes of many people he is above all a priest. Without this aspect, it is impossible to understand either his work, or the course of his life. It cannot be determined when he became aware of the desire to become a priest, as the expression goes. We know that from the time he was a young man he frequented ecclesiastical environments, beginning with his school-age years in Sarrià, and perhaps even then the idea ran through his mind. His sister Mercedes told me that he talked about it during their stay in Bonn, when the Civil War was in progress, and all the way up to age 25. He doesn’t seem to have spoken about it with his parents, nor that he had thought about entering a seminary, one of the religious orders or a monastery. He was studying chemistry and philosophy. He had not entered Opus Dei in order to become a priest, because in 1940 that movement, even though founded by a priest, was primarily laic. But already in 1935 Josemaría Escrivá had arrived at the conviction that it would be opportune to have priests coming from the lay members of Opus Dei because it would render his foundation more independent and effective. That’s how the Society of Holy Cross Priests was born. On the 25th of June 1944 the first three Opus Dei priests were ordained in Madrid: Álvaro del Portillo, José María Hernández de Garnica and José Luis Múzquiz. Subsequently, for the second group to be ordained, Panikkar was also chosen. Did he expect that or was it a surprise for him? About a half century later, regarding his becoming a Catholic priest, he was to affirm: “When we talk about our most intimate and true realities, it is difficult to find the real beginning – and one ends up by beginning with something that isn’t the most important thing [,,,]. As far as I am concerned, I didn’t exclude the priesthood as a symbol of the ‘homo religiosus’, but I kept myself open to every other eventuality. And my vocation came to me in an unsuspected manner”7. In any case, the priesthood was proposed to Raimon and he consented, upon completion of his theological studies in Madrid, ‘conditio sine qua non’ for ordination. But at this point things become painfully complicated. Panikkar was a chemical engineer seriously involved in the family business; moreover, his father had been stricken by a paralysis that prevented him from working and therefore taking care of his family. It was almost obvious that it depended on Raimundo, the oldest son, to take on the responsibility of the factory, the store and the family. Instead, he announced to his family his desire to become a priest. The so-called “vocation”, for a person of faith, is a “call” from God that cannot be resisted and that demands absolute priority. His father Ramuni remained shocked by the news and shut himself up in a more than eloquent silence, whereas his mother Carmen wrote two very harsh letters to Monsignor de Balaguer requesting that her son’s ordination be put on hold or postponed for a while. Monsignor Escrivá responded with an abrupt “no”, while categorically affirming, “God cannot wait”. Raimundo himself, returning in haste to Barcelona to appraise the situation, requested a postponement from his Opus Dei superiors but the response was that he must immediately return to Madrid to take the final examinations in theology. 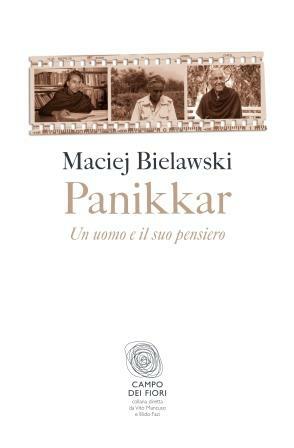 Perhaps feeling trapped and also confused by all this tension, Panikkar left his family with their problems and went Madrid, thus choosing – as he would relate almost half a century later, with tears of pain over a re-opened wound – obedience and not love. Was it flight? Search? Was he confused? Did he really feel called by God? In any case, on the 29th of September 1946 the bishop of Madrid, Leopoldo Eijo y Garay (1878-1963), extended his hands over him and Panikkar became a priest together with five other members of Opus Dei: Pedro Casciaro, Francisco Botella, José López Navarro, Teodoro Ruiz and Justo Martí. The consequences of this fact had repercussions on Raimon Panikkar influencing in a radical manner every aspect of his entire life. Above all, a new type of relationship was created with his family members. Up to now, even being an Opus Dei numerary, Raimundo belonged to his family, shared a home, work and finances with them and was involved with operating the family business. Now the center of gravity of his life had decisively shifted toward the ‘Obra’ and priority was given to service, which from this time on must have expanded since he was a priest chained to the rule of obedience to his superiors. This situation, considering the circumstances in which the family found itself, must have generated a strange tension in him. It is related that there was a bond of ‘silence’ between him and his father. It’s a very tragic fact that during his first mass in Barcelona, which normally is a feast for the neo-presbyter’s family and parish community, Panikkar didn’t see his father in the first row of participants. He thought his father had refused to attend. Only long after Ramuni died did Panikkar come to know that his father was present at this liturgy sitting in a wheel chair, but ‘hidden’ in the back of the church. Ramuni Pániker perhaps didn’t understand, nor ever accept his first-born’s decision. In his opinion his son above all should have taken care of the family, and contributed to the development of the factory and increase of sales. Instead, Raimundo ran away. Consequently, he would repress this conflict, perhaps finding some explanation and consolation in the dynamics of sacrifice. As a Catholic priest of the Latin rite Raimundo Panikkar also promised to embrace celibacy, i.e. not to cultivate amorous relations and not to marry, thus foregoing a family and children. I think this is another point of contention with his father, and perhaps even his mother, who certainly would have liked to see her first-born settled with his own family and being surrounded by grandchildren. As we will establish, the promise of celibacy carried a particular weight in the life of this man and perhaps without it complications and sufferings would have been avoided for him and different people close to him. Since the Catholic Church is a well-structured institution, no priest can freely live where he wants, but must go where his superiors send him. In the Church there is no ‘clericus vagans’ and all priests are subjected to the so-called law of “incardination”. In other words, a priest is not independent, but must be located (thus “incardinated”) in a very precise manner either within an institute of consecrated life, as in fact Opus Dei was, or under the bishop of a diocese. As we will see, during his long life full of movement, since he was a Catholic priest Panikkar also had to comply with this norm. At the beginning he would remain within Opus Dei depending on that organization for his assignments. Later he would be incardinated in the diocese of Varanasi even though he spent long periods in the United States. And even when he would settle in Tavertet, during the last period, he would still remain incardinated in the City of Lights on the Ganges, in India. The other consequences of his ordination to the priesthood might seem banal even if they weighed on Panikkar’s concrete existence. From the moment of his ordination he changes from participation to being protagonist of liturgies, celebrant and preacher. Upon his entrance into the order of priests he was obliged to wear the appropriate clerical attire: a black cassock with 33 buttons or a clergyman’s suit with a white collar. He was required to recite the breviary, celebrate mass daily, accept the ecclesiastical life style and socialize with other priests. Even this had its advantages and disadvantages. His role in society changed markedly – he was already perceived and approached by others as a priest. In atmospheres that valued priests, and living within a Catholic culture, this was an honor: Panikkar became a special man, chosen by God, consecrated, signed with unique powers. In anticlerical or anti-Christian atmospheres, however this could become an obstacle. In India, for example, whatever Panikkar might do, he was always considered by Hindus as a “father”, i.e. a missionary, a colonist, a foreigner, a Westerner. I remember meeting with some Hindu luminaries from Varanasi who responded to my inquiries about Panikkar by first saying: “Ah, yes, he was a ‘father”, but…”. In other words, for better or for worse, Panikkar was labeled, and for all his life he had to deal with this new identity. The reflection and interpretation of his being a Catholic priest, always so unique and profound, would come only with time. He generally defined it with three words: mediator, Melchisedech and cosmos. In order to avoid others seeing him as a “functionary” – but first and foremost as he saw himself – Panikkar made a distinction between “intermediary” and “mediator”. An intermediary is a functionary who simply connects the divine and the world, whereas a mediator participates existentially in these two realities and thus initiates the action. Panikkar considered himself a mediator, not an intermediary. After having come in contact with Hinduism and seeking to widen the rather restricted vision of the priesthood inherent in Catholicism, he began to affirm being ordained “according to the order (or as he preferred to say, the “dharma”) of Melchisedech and stressed being a “cosmic priest”. But he would later develop all these reflections to which we will return. Having become a priest generated in Panikkar a reflection on the priesthood in general, and on his own in particular. As was the case with everything he did, even his being a priest was inevitably “panikkarian”. The priesthood was one of the strongest and most characteristic attributes of this man. Many who knew him and with whom he spoke would often remember precisely his liturgical celebrations. In a chapel in Madrid, the catacombs of Rome or in a gothic church in Salzburg, he attracted and fascinated. His sermons are remembered even today. His liturgical improvisations enthused participants. His bearing, concentration, gestures and gaze created a special, sacred atmosphere. When he was climbing some mountain in Austria, he wanted to celebrate the Eucharist but had only bread and water. What could he do? “No matter!”, he said, and thus celebrated the rite with only bread and water. The participants didn’t ask whether he had first miraculously turned the water into wine. One time in Assisi, on a terrace, when the celebration had been completed, he threw the remains of the consecrated bread into the air maintaining that in that city the pigeons were not inferior to the angels and should be fed with the consecrated bread. His masses at the source of the Ganges, on Arunachala, on Kailash, in the small chapel of Varanasi, in the parish church in Santa Barbara or in the basilica of Montserrat, or his long celebrations conducted in his Tavertet home during the last months of his life, were memorable because Panikkar was “officiating” and his whole life was perceived as a celebration of the divine, human and cosmic sacrifice. Ordination to the priesthood for Panikkar was a radical change that offered him not only a new fulcrum on which to balance his identity and inner being, but which also opened up for him new ways to move about in society. It could be said that after his ordination Panikkar began to take off. All his preparation, experiences, talents and capabilities now found an outlet. Liberated from the narrow Barcelona family circle, he found himself in the ecclesiastical and academic milieu of the capital, no longer as a simple participant but in the role of protagonist and leader. In post-war Spain there was a lot to do, there were many possibilities and plenty of free time: membership in Opus Dei was the right runway for take off. He was the right man in the right place at the right time. In 1943 Don Escrivá succeeded in opening the Colegio Mayor la Moncloa in Madrid, which quickly became one of the most important prestigious centers in the academic and cultural circles of Madrid, and more generally, of Spain. After his ordination Panikkar became its chaplain, developing an intense and fertile pastoral activity among students, teachers, intellectuals, men and women involved in cultural circles. Primarily this meant celebrations, sermons, conferences, meetings of various kinds, retreats, hearing confessions and spiritual guidance. He became a real “star” in that setting, followed, valued and admired. It is related that in this period he was offered the philosophy chair, held up to then by Manuel García Morente, but Escrivá de Balaguer preferred that he concentrate primarily on pastoral work. The “padre’s” decision didn’t please the philosopher Zurbiri either. It was the typical age-old tension between the intellectual life and the spiritual life found in church environments that normally opt for this second service, harboring a discrete fear of the first. It seems to me that Panikkar, at least at first, was not displeased with the transfer of emphasis on the academic life to the pastoral. Certainly as chaplain he was very good and valued, and in addition, this role allowed him to interact with many cultured people. Despite his pastoral duties he began teaching at the University of Madrid, at the diocesan seminary of the capital and at the Leo XIII Institute of Religious Sciences. We know that he taught courses on topics like Historical Direction of Our Time, the Theological Diagnosis of Contemporary Christianity, Comparative Cultures. Some of his courses attracted many students who found in his teaching something more than just simple and formal preparation for a profession. Panikkar touched the hearts of young people and succeeded in influencing their spiritual life. Still in 1943, in Barcelona, Panikkar, together with other intellectuals connected with Opus Dei, prominent men like Rafael Calvo Serer, Ramón Roquer and Jaime Bofill, succeeded in launching the review “Síntesis”, in which they intended to offer reflections that focused precisely on a new intellectual synthesis between modern culture and Christianity. With the indispensable and generous economic help of Consejo Superior de Investigaciones Científicas (CSIC, ‘Spanish National Research Council’), a governing organ whose administrator was a member of Opus Dei, the review was transformed into the Madrid quarterly “Arbor”, a “general review of cultural research”. The latter became one of the most important voices of post-war Spain and Panikkar was its vice-director for several years. He published his articles in it from its beginning up to 1966, when he ceased belonging to Opus Dei. His many-faceted and fascinating manner of being and operating in this period can be observed perfectly in the case of Maria del Carmen Tapia. It’s a unique and personal story that can serve as a matrix to understand the panikkarian way of acting. It is well documented since Tapia herself relates it in her book Beyond the Threshold. My Life in Opus Dei8. It’s a particularly significant account because the protagonist, with the passage of time, became one of the most important people for Panikkar and those near him. We are in Madrid in 1947. Maria del Carmen Tapia, barely twenty-one and happily engaged to a forestry engineer, finds work as a secretary for the review “Arbor”. At first she is amazed, because she doesn’t expect the vice-director of the review under the tutelage of the governing entity CSIC to be a priest. Reading some of his articles, especially an essay on the recently deceased (1947) Max Planck, she is struck by Panikkar’s intelligence. This man fascinates her profoundly. Another surprise for Tapia is the discovery that because of CSIC, members of Opus Dei took on key roles in “Arbor”. Many young people are members of this new organization but it doesn’t enjoy the fondness of all and is accused of secrecy and controlling the CSIC. It’s an even bigger surprise when Tapia discovers that even her admired vice-director, Raimon Panikkar (Raimundo Pániker at the time), is one of its members. One day they have occasion to talk about it. Already then is being spread the “black legend” of Opus Dei as “Catholic Masonry” and Tapia had heard speak of it in those terms. In their conversation when she expresses her reservation on the matter to Panikkar, he affirms that all those rumors are simply “calumny”. In addition to being secretary for the review Tapia very quickly becomes a kind of special assistant to Panikkar and, among other things, transcribes his texts and remains even more fascinated with them because they open up new horizons of thought. In the spring of 1948, in order to prepare well for marriage, she asks Panikkar to be her spiritual director, with whom she can confide and confess. Panikkar invites her to participate in a retreat he is directing in an Opus Dei center. There she hears him speak of “vocation” and begins to consider the possibility of becoming a numerary herself. A period of anxiety and preoccupation is beginning for Tapia: phone calls and dialogues with Opus Dei members, notes in which Panikkar communicates to her short spiritual advices. The whole procedure is revealed to be quite complex, tense and painful, but in the end Tapia, on New Year’s Eve of 1949, breaks her engagement, and convinced she is doing the will of God, joins Opus Dei, becoming a numerary and beginning her dramatic odyssey lasting sixteen years within the organization. There is no need to add more to the role that involved Panikkar in the whole story. It is important however to note how Tapia’s story, which wasn’t the only, nor the first or last, well reflect the manner in which the future theorist of cosmotheandrism acts during this epoch. Perhaps because of his membership in Opus Dei, which had rather extensive contacts in the society of Madrid, Raimundo Panikkar also became a member and director of the Spanish Society of Philosophy and collaborated with the Institute of Philosophy “Luis Vives”. Still in 1947, both institutions made plans to organize, in Barcelona, the International Congress of Philosophy, one of the most important cultural and intellectual events in post-war Spain. Panikkar found himself at the center of preparatory work, with the possibility of putting his linguistic knowledge and personal talents to their best use. On 28 May 1947 the Italian philosopher Enrico Castelli arrived in Madrid and writes the following entry in his diary soon after meeting with him: “Lunch with Rev Raymundo Panikkar, a unique appearance of philosophy scholar and priest. Panikkar, of English nationality, son of an Indian father and a Catalan mother, looks purely Indian. Already a chemist, manager of a factory in Barcelona, he abandoned all to become a priest. Excellent impression, acute and penetrating spirit. We were in agreement on several matters. He’s an adjunct professor at the Instituto di Filosofia Vives del Consejo”9. Even Castelli well reflects the impression Panikkar made on others at the time. We are at the beginning of the origins and the birth of the “Panikkar myth”. There was something very strong in his personality, closely related to his personal history that was fascinating. The Congress, of which Panikkar was director, besides being a national and international event, made this thirty-year old priest an ever more known figure in Spain and beyond the confines of the Iberian peninsula. From this time on he would be invited to diverse centers, universities and countries in Europe, and would develop numerous contacts, thereby making himself always more and more noted as a rather unique thinker. It’s not worth listing all the trips he made in this period. Let’s say only that the symbolic summit that at the same time closes one epoch and opens another in this man’s life is his lecture on the topic: “The Cultural Sin of the West”, at Freiburg in 1953. And here let’s turn to Panikkar himself who years later recalled: “The following day the rector of the university came to see me and said that Heidegger had asked who and how it came about that this Indian had said such important things of interest to him. Max Müller came to ask me mysteriously if it would interest me to accompany him to visit Heidegger […]. A little after the beginning of our conversation, Heidegger forgot that he was Martin Heidegger and I a beginner; we both began diving into a discussion on the possibility that God was Supreme Being, or was Being. I maintained that the Christian God was Being, like Saint Thomas did, and he that the Christian God was Supreme Being if one accepts the monotheism of Abraham”10. From that moment on one could think of Panikkar, as he himself did, that he had arrived at the pantheon of philosophers of his time. Despite the successes, ongoing work, preparation for printing the documents of the 1948 International Congress of Philosophy for CSIC and the various pastoral and academic responsibilities he had in Madrid, Panikkar mysteriously “disappears” from the city for almost six months. He “reappears” in his Madrid settings around Christmas 1949 in order to move to Salamanca where he remains until the fall of 1953. That is the chronology and geography that can be established up to this day and about which it is good to examine and reflect. The procedure is delicate because it concerns primarily the rapport between him and Opus Dei, i.e. an area not lacking in enigmas and bias. I will explain. Those who don’t love that organization have a very fertile field to talk about “persecution” or “exile”, while those who would want to cast suspicion on Panikkar might equally easily do so. In the final analysis I don’t believe it is anything like a “detective story”, nor finding a “skeleton in the closet”, but simply facts of life that roll along with all their normal and nice complications. Victorio Pérez Prieto and Alberto Moncada, who look at Opus Dei with a critical eye, maintain that “the Salamanca period was caused by the presumed jealousy Escrivá de Balaguer nourished in the confrontations with the popularity Panikkar enjoyed in Madrid”, therefore: “Because of the many requests he received to teach courses and lectures, in Opus Dei the moment arrived when it was realized that Panikkar, and not the Institution, had become the protagonist. There began to be people in the university who made a distinction between Panikkar and Opus; that’s why he decided to send him to Salamanca”11. It would thus be the theory of “two roosters in the hen house”. That obviously could not please Opus Dei, especially because it concerned their founder. Attempting to give a more balanced interpretation, one could hypothesize that perhaps indeed Panikkar’s pastoral activity and way of thinking were beginning to go beyond the parameters of the organization, which for him were becoming more and more constrained. But there is no need to exaggerate these interpretations, because Panikkar at that period, as even his brother Salvador affirms in his Primer Testamento, was rather rigid and full of zeal, which “from the outside” could be read as fanaticism. In his Diaries, Enrico Castelli a short note provides a picture of Panikkar as an Opus Dei member. After having met him in Salamanca toward the end of September 1952, the Roman philosopher writes: “R. Panikkar spoke to me about the expansion of Opus Dei. According to Panikkar it is growing and would approach the worker-priest movement in France. When pressed, he admitted that there is strong opposition”12. These sentences, when read with today’s sensibility, make your eyes open up in marvel: the Spanish Opus Dei compared to the French worker-priest movement makes you almost laugh, especially when you are aware of who and what is being discussed. But it is a precious indication to understand Panikkar within Opus Dei during those years. He was proud of the development of the organization to which he belonged. He felt part of that avant-guarde that was supposed to fight opposition. The second reason for his move to Salamanca might be Panikkar’s partial exhaustion: after three years of fervid pastoral and organizational activity he might have needed more space and greater tranquility for his studies. Nevertheless, it is enough to see his bibliography of that period to realize that he actually didn’t make much progress and didn’t write anything profound. It’s easy to identify superficially with this man in whom, so pressed with pastoral and institutional activities and by successes, a certain discontent was slowly maturing. In fact, in Opus Dei it is related that Panikkar was becoming “restless”, was looking for his own place and his own manner of being. Going to Salamanca, where there was a prestigious university with a good philosophical tradition, could very well be a solution for him. For almost all his life, paradoxically, he wanted to stay in the margins (in order to reflect) and in the center (in order to influence). During his sojourn in that city, which is after all not that far from Madrid, he taught, collaborated with the review “Arbor”, and in the capacity of director oversaw the collection of books on “Patmos” spirituality. In his Salamanca period Panikkar even succeeded in preparing for publication the text of his doctorate, which came out in 1951. Also, here he was able to develop and deepen his contacts with the philosophical milieu abroad, with Italy through Castelli. Meanwhile, beginning with 1952, he began to publish texts in German reviews. Those are the paths he would follow more and more in the future and in a more and more prolific manner. We know that it was in Salamanca that Panikkar began contacts with the Dominican scholastic scholar Santiago Ramírez (1891-1967), who would later become one of the theologians for the 2nd Vatican Council, contacts that he later renewed during his sojourn in Rome at the beginning of the 60’s. The presence of Ramírez in Salamanca was a good opportunity to refine his knowledge of Latin scholastic philosophy. The thomistic imprint on Panikkar’s philosophical and theological thought is undeniable and precisely his sojourn in Salamanca contributed to that. Let’s add that for all the three years he remained in Salamanca, Father Santiago Ramírez was his confessor and spiritual director. Independently from the reasons that had brought him there, one can clearly see how this man knew how to make the best of every milieu in which he found himself. It’s one of his most revealing traits that relegates to second place the perception of him as the victim of a religious organization. Hinting also at the argument of a disciplinary nature, or the relations of the numerary and priest Panikkar with women, Maria del Carmen Tapia in her memoirs relates that, after having worked in Madrid as Panikkar’s assistant, helping him to prepare for the International Congress of Philosophy, a little before the inauguration of this event, she was asked by the Opus Dei priest Hernández Garnica not to go to Barcelona, because the fact that “Father Panikkar’s assistant at the Congress was a woman might have aroused murmurs against Opus Dei”13. But if she nevertheless would go there, given that she was not held to the rule of obedience since she wasn’t a member of the organization, “the superiors of Opus Dei would have prohibited Panikkar from attending the Congress”14. As a consequence of this veto Maria del Carmen did not go to the Congress, but continued to work with and for Panikkar. Their closeness perhaps attracted the attention of some who might have suspected some emotional involvement between them. But at this point Panikkar, without any explanation, in 1949 simple disappears from circulation for almost six months. No one knew where he was or why he had disappeared. For the most part it was believed that he “was sick”, but the more common rumor was that it was “another typical Opus Dei situation!”15. Tapia writes about this: “Many years later, when I was no longer part of Opus Dei, I found out that Father Panikkar had been sent during that period to “Molinoviejo”, probably as punishment”16. Molinoviejo was an isolated place near Segovia and the punishment could be in regard to the all too casual manner with which the priest dealt with women. Perhaps within the organization such freedom was displeasing, perhaps he was defamed by someone; perhaps he really was emotionally involved with someone; perhaps Panikkar had sincerely revealed or confessed “his problem” to his superiors, and they immediately sent him on retreat to reflect on his vocation. In any case the “woman” problem could well have been the reason for his departure from Madrid. It’s a hypothesis that holds until proven to the contrary. Panikkar’s book that best reflects the state of his mind and thoughts during this period is Cometas. Fragmentos de un diario espiritual de la postguerra17. It’s a collection of about seventy meditations and prayers written between May 1946 and December 1954: i.e. from a little before his ordination to the priesthood up to the eve of his departure for India. Cometas is an interesting book especially from the biographical point of view, but also strange. And I’m not surprised that Salvador Pániker, his younger brother, advised him not to publish it. Raimundo however wanted to have it printed because, as he affirms in the preface, “He did not regret anything in this stage of his life, nor of having overcome it”18. The phrase, sufficiently significant, also reveals Panikkar’s general attitude toward the confrontations of his own life: he never intended to negate anything. He wanted to embrace and accept everything, eventually overcoming it, not through rejection but precisely through affirmation. I don’t want to analyze the book because its content should not, nor cannot be summarized in a comment. It must be said however that from the meditations and prayers there appears a Panikkar inclined toward an “anguishing pietism”, an anxious and tormented Panikkar, clenched and frightened by that spirit of sacrifice to which he intends to adapt his life, a Panikkar who writes his “testament”, who speaks of a “tragic vocation”, of “silence” from which he hopes light will arise, that touches on the paradox of his priestly vocation etc. He seems to find a moment of peace by confessing: “Your paths, Lord, are mine and Your desires are mine”19. It is a very significant text that, in my opinion, will remain with him for the rest of his life, up to the end. This book permits me moreover to emphasize one very significant aspect of Panikkar, the writer. This man, who didn’t want to speak very much about himself and distrusted any kind of autobiography, nevertheless left in practically all of his writings, especially in the introductions, very precise dates when he finished the text, often adding an indication of the place. Why? Perhaps he was leaving tracks for an attentive reader. I look with tenderness at all the dates left in his books and tell myself: if he had not wanted them to be read in the future, he wouldn’t have written them. Cometas is exemplary from this point of view. It can be read in the sequence the meditations were inserted, but it is worth perusing them in the order of time when they were written. For such purpose the author has furnished us with a second index, obviously chronological. Keeping present the major events of his life one can know which meditation was written before his ordination, which one was written after the International Congress of Philosophy; nothing was written during his retreat at Molinoviejo, little at Salamanca, whereas the meditation “Obedience and the Person” was composed right after his father’s death and “The Last Comet of the West” during his sojourn in Rome before leaving for India. Also revealing are many dates in the prefaces. They are various and point out different moments and places. Therefore the attentive reader can learn that these meditations and prayers were collected in 1954 in Rome before his departure for India. Then he begins them again on 15 September 1966 in Madrid, when he had barely ceased belonging to Opus Dei, and finally the book was elaborated for publication on 30 May 1971, feast of Pentecost, at Harvard. All these dates and places will be clarified and their import supplied in subsequent chapters of our account. But with the same attention it is necessary to treat the other dates and geographical indications present in his books, as we will have occasion to see. Finally, one more detail. About half of these meditations come from the affixed manuscripts of the author, while subsequent ones were assembled by his assistant in Madrid, Maria del Carmen Tapia. Perhaps the other half of the texts written between 1950 and 1954, is left in manuscript form. Tapia was able, I imagine, to finish this work between 1967 and 1971, when she was again his assistant at Harvard. In her memoirs she writes that, when Panikkar turned this book over for publication, “ he kindly dedicated it to me”20. However, if I open the original edition of Cometas, I read on the first page: “To Devi”, and for a second I remain confused. But after rapid reflection the veil drops because I know that the term “Devi” in Sanscrit means feminine divinity, divine mother, wife of a god, goddess in general, resplendent woman, or simply, madam. Therefore, to whom was this book dedicated? Or, for Panikkar, who was the woman to whom he dedicated it?